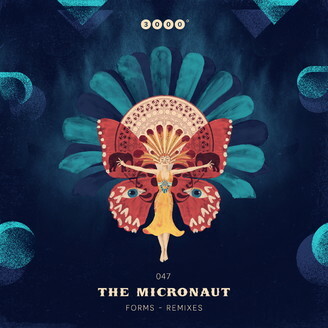 Forms, the 3rd album of The Micronaut, turns into yet more shapes. If you're familiar with the atmospheric spectrum of the original work, you know what you're in for: A remix collection which takes you on an exciting journey full of unexpected twists and turns. Square Mac Kee sends the signature timbre of The Micronaut sloshing around a broken beat construct. Kalipo turns the epic vibes of his urban blues into a cheerful, trippy Downbeat tune. Mollono.Bass, Johannes Wagner and Schlepp Geist take up the fascinating state of tension that evolves between fragments of pensive melancholia and ecstatic euphoria and twist it around the hypnotic potential of straight four-to-the-floor grooves.